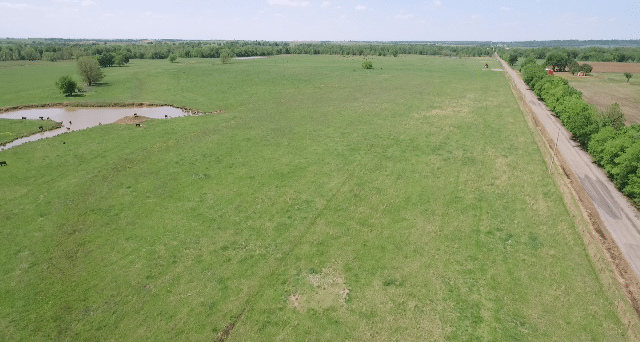 This introduced grass ranch offers a competitive animal unit cost due to productive soils further enhanced by an annual rainfall average of over 45 inches and a growing season of 215 days. The 45 pastures and traps increase the ability for rotational grazing that is so important with forage management. The ranch is easily accessible from perimeter county roads and rural water is available in many locations. 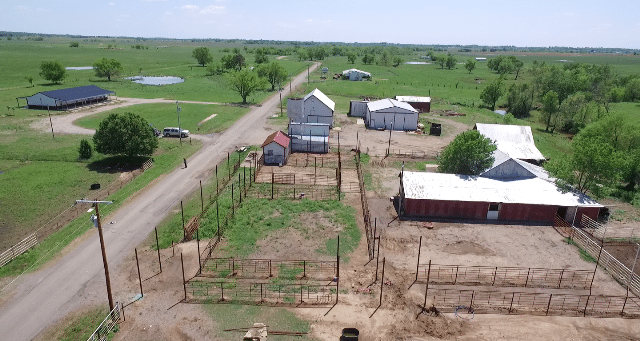 This is a working ranch with minimal costly improvements other than a new ranch manager home, workable corrals, shop and hay storage. The 38 miles of fences, ponds, roads and buildings provide a considerable amount of depreciable property. 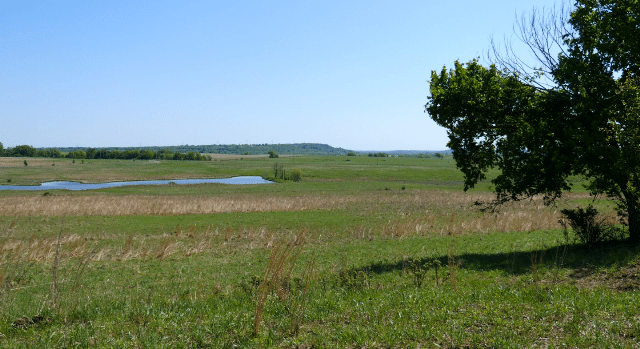 In the past, this area has been included in the Former Indian Lands and offered Federal Tax Credits which would need to be extended in new tax legislation. 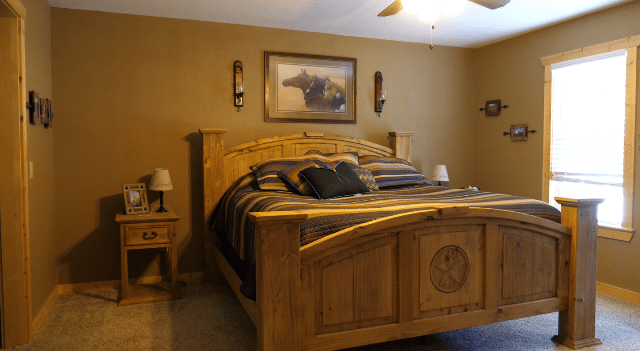 These credits have offered up to 40% accelerated depreciation on qualifying items. 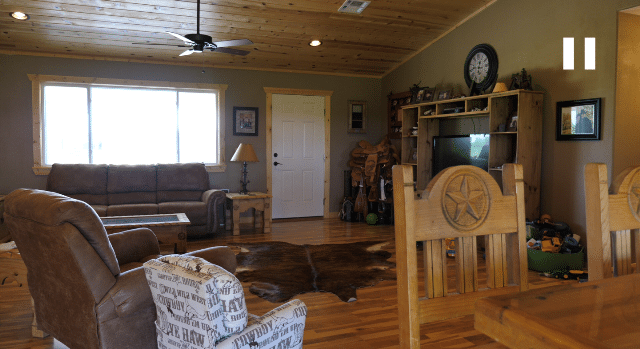 LOCATION: The ranch is approximately 15 minutes from Muskogee and 1hour from Tulsa. 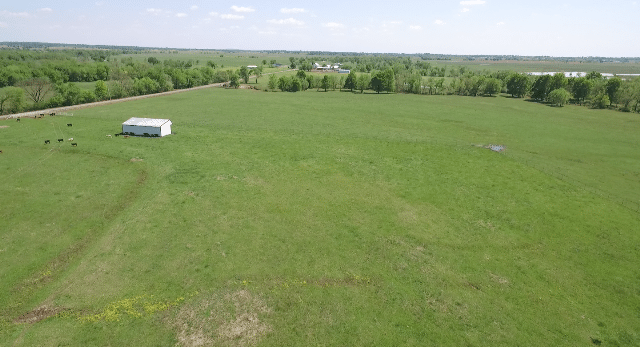 Due to the location near Muskogee and several ports along the McClellan – Kerr Arkansas River Navigation system, fertilizer, lime and other products are competitively priced. The location near poultry production areas offers chicken manure as another soil amendment option. 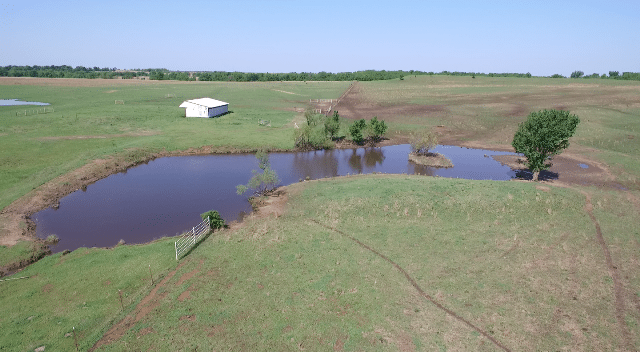 If the fishing on the ranch doesn’t satisfy, get off the ranch and enjoy the numerous fishing and water sports opportunities on the nearby Oklahoma lakes such as Ft Gibson, Tenkiller, Kerr and Eufaula. IMPROVEMENTS: A recently completed 2400 sq. 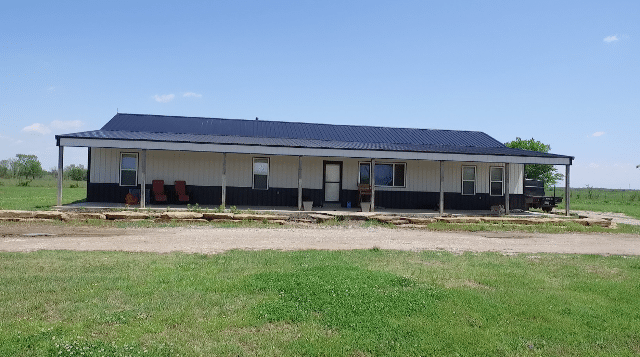 ft. ranch manager home is located near the headquarters area that includes a shop, feed/ equipment storage and the main corrals for the ranch. 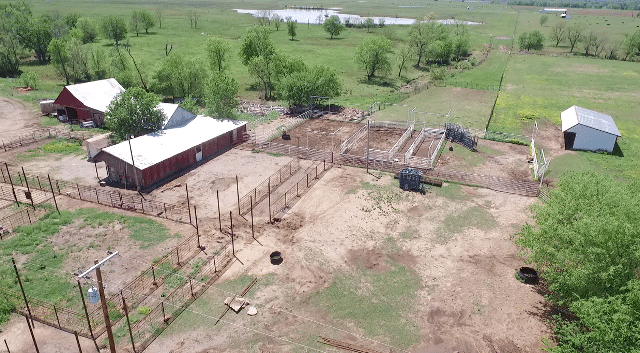 Several sets of smaller corrals are situated throughout the ranch, as well as, several open faced loafing sheds. 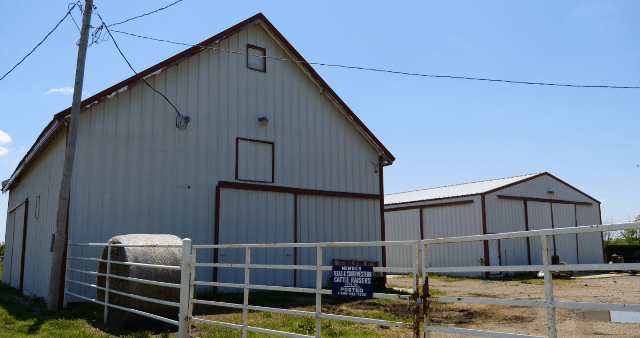 A 100’ X 50’ hay barn is located in the south central section of the ranch. SOILS AND FORAGE CAPABILITY: The predominate Dennis and Parsons soils, which are generally capability type II and III, provide the base for many high yielding introduced forages such as bermuda, fescue, crabgrass, numerous clovers, and annual ryegrass. Many of the pastures were formerly cultivated and will support no-till wheat, rye or other forage annuals. The timber along the riparian systems and scattered timber in some of the upland pastures provide cover, shade and wildlife habitat. This cover will include but is not limited to red oak, post oak, blackjack, walnut, sycamore, redbud and pecan. 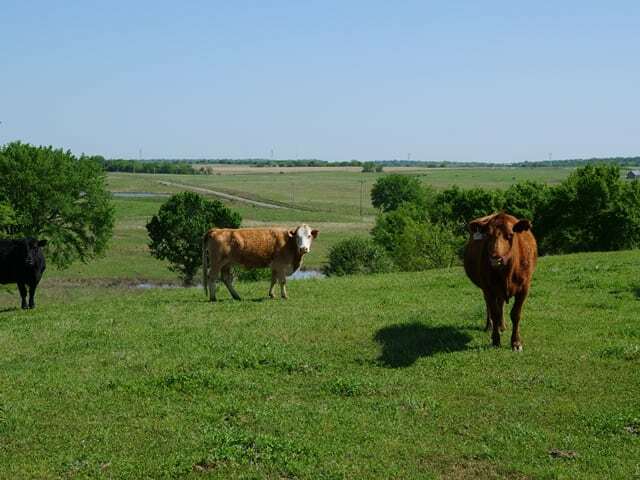 GRAZING/ FORAGE MANAGEMENT: The ranch is currently stocked at 700 animal units and is considered to be stocked conservatively. An experienced forage manager will quickly see the upside with a moderately aggressive forage management program. 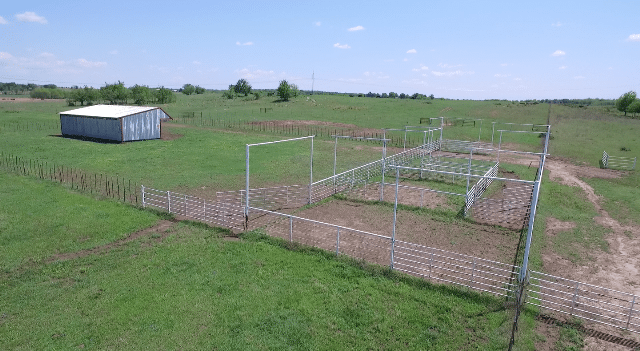 As previously mentioned there are approximately 45 pastures and traps which create an ideal situation for high intensity rotational grazing throughout the ranch. Typically, the most limiting factor developing rotational grazing plans is the distribution of stock water. 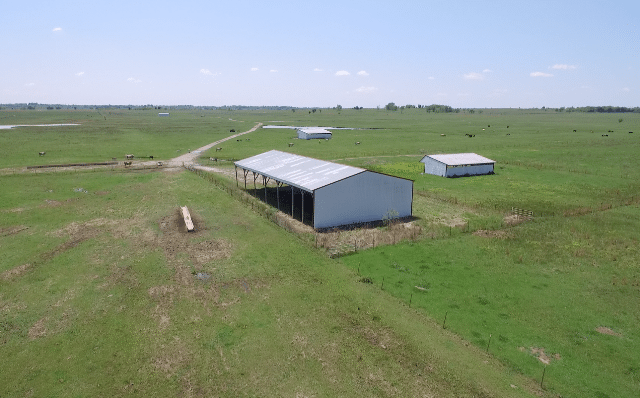 The ranch was thoughtfully designed to provide adequate permanent water in all of the pastures. Additionally, many of the pastures could be further divided into grazing cells utilizing temporary electric fencing. 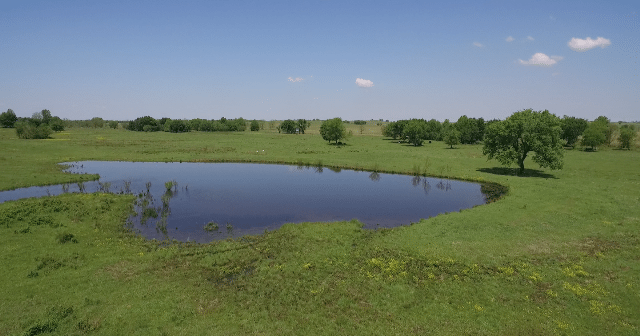 WATER: The ranch contains more than 75 ponds, several more than an acre in size. 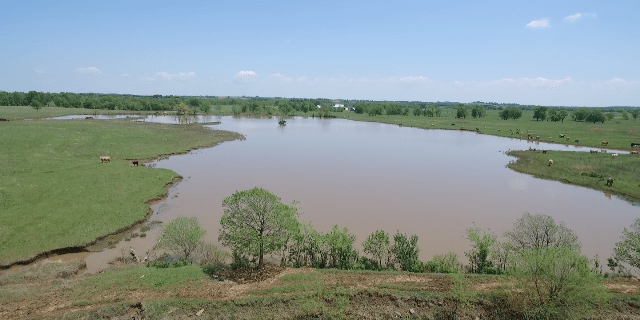 One large lake is approximately 10 acres. Pecan Creek traverses the ranch from the south to north for almost 3 miles and includes several tributaries that are spring stimulated. The headquarters area is served by rural water and is available in several other areas of the ranch. 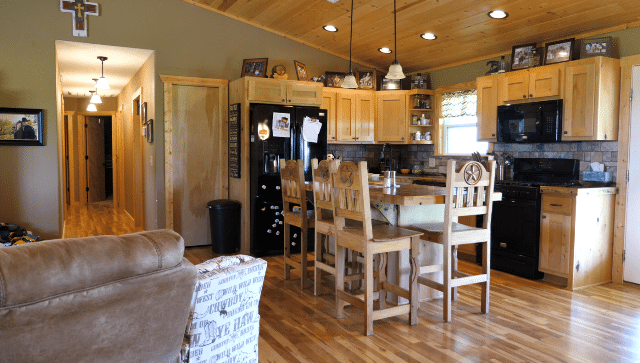 RECREATION / WILDLIFE: The numerous ponds and the lake provide endless opportunities for fishing and water fowl hunting. The timber cover along Pecan Creek and tributaries provide habitat for deer, turkey and other upland species of wildlife. MINERALS: Surface Only. No production on the ranch at this time.